There may come a time when you need more electricity than your solar panels or bicycle chargers can provide you with. Perhaps the zombie threat has abated and you’re trying to restore normalcy as you rebuild civilization. Or maybe you’ve got a chance to power up a radio station and send out a broadcast letting any other survivors know where to find you. When you’re faced with these kinds of situations, you absolutely have got to have a gas-powered generator. You don’t want use these all of the time: they’re loud and can draw attention to your location. However, in the right circumstances, having copious, reliable electrical power at your disposal can be the difference between life and death. 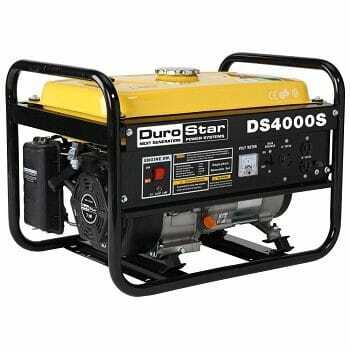 Some things to keep in mind about gas-powered generators are that they are quite heavy. In day-to-day living this isn’t terribly relevant, you’d probably put the generator in its place and never worry about moving it. However, in our preparation for an exodus from a zombie plague, mobility will be incredibly beneficial. We’ll also want something durable and as low maintenance as possible. We need this thing to run when it’s asked to run without a lot of screwing around. There may be months or even years between uses, so a well made and reliable machine is mandatory. 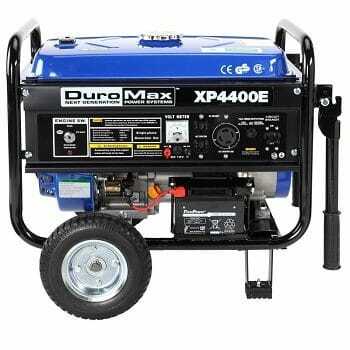 Obviously the type of generator you decide to go with will be influenced by your anticipated needs, but we really like the DuroMax XP4400E 4,400 Watt 7.0 HP Gas Generator (with the optional wheel kit). This workhorse of a generator will easily power most of the emergency necessities most people will decide to have in their long-term escape plan. The wheel kit makes moving the generator from place to place much easier than trying to go without and the XP4400E model also has an electric starter, which is a major time saver. Not to worry, it has a backup pull start in case something goes wrong with the electric starter- PLAN FOR EVERYTHING! On four gallons of gasoline, this generator will run at half-capacity for 8 hours. That’s 8 hours of running a table saw, or maybe 5 hours running an air conditioner…if you’re into that sort of thing. 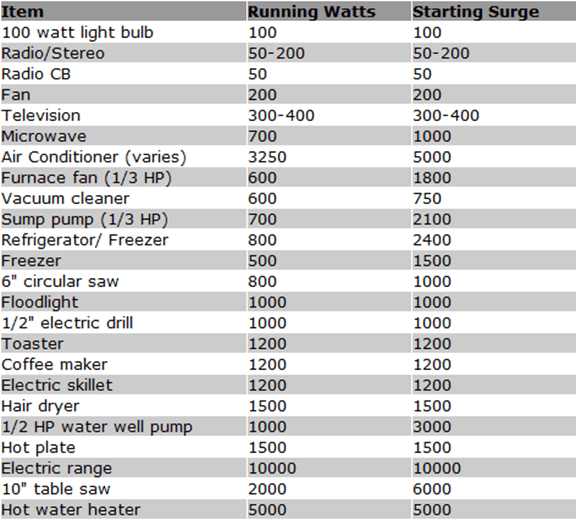 So my friends take a look at your potential electrical needs and then get yourself a generator that can handle that load. You’ll probably want to stockpile some gasoline as well-50 gallons is a good place to start. I’d recommend housing your gas in 5-gallon steel Jerry Cans, like the ones NATO uses. They’re durable as hell and that’s what you’ve got to have. Reliability. Now go make your plan. Stay alive.